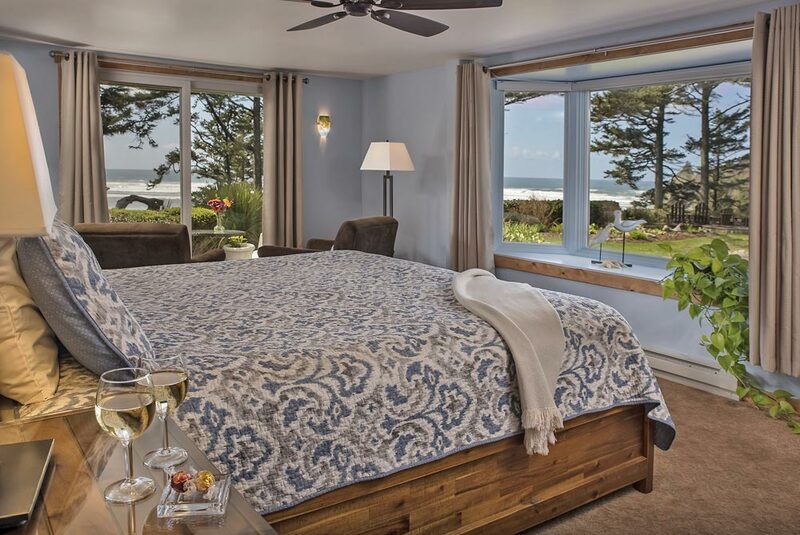 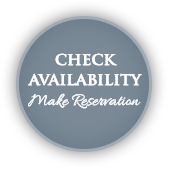 Right off the inn’s great room, is Pacific Breeze a comfortable room on the first floor. 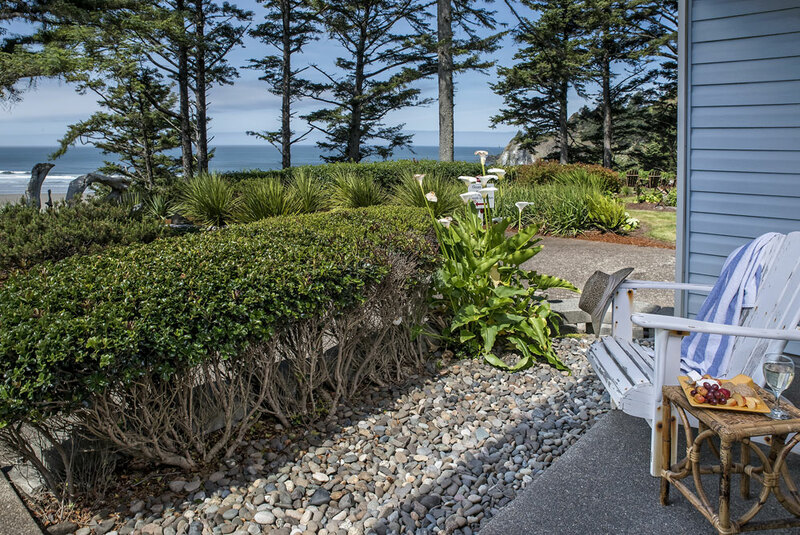 Both the private sitting room and adjoining patio overlook a spectacular ocean view. 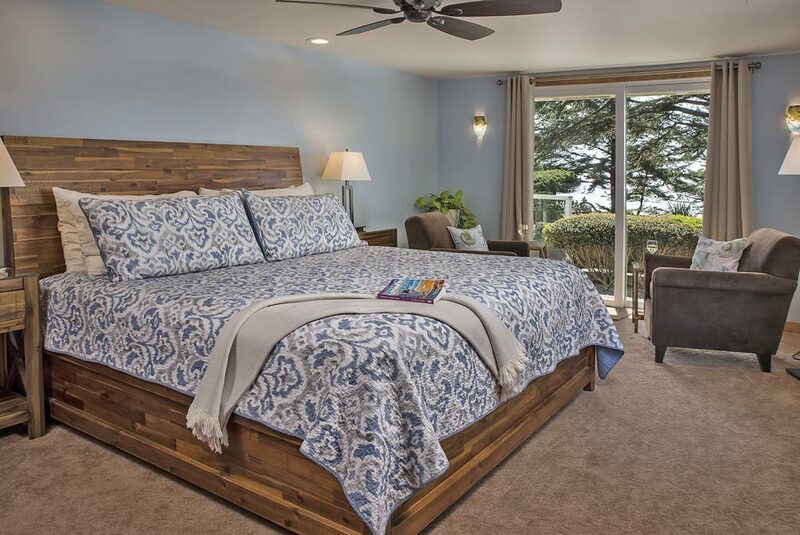 The king bed, gas fireplace, and additional bay window will make your stay memorable. 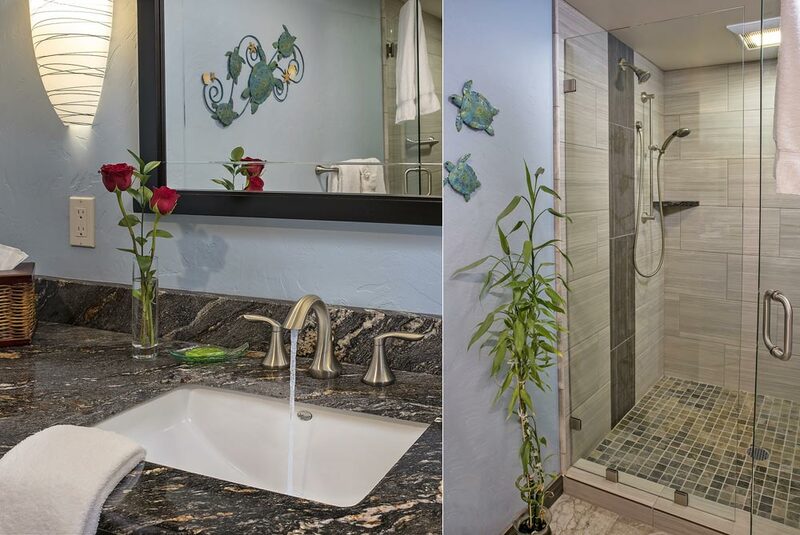 Pacific Breeze is very accommodating with a large private 3/4 bath with shower.